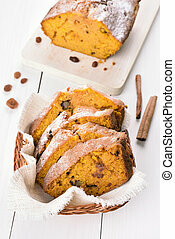 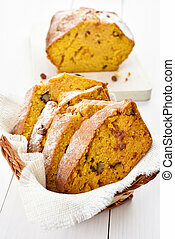 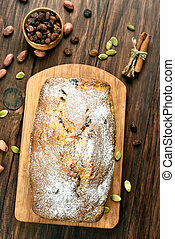 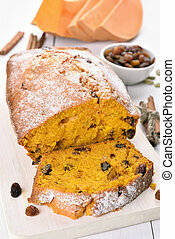 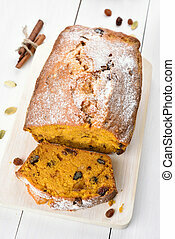 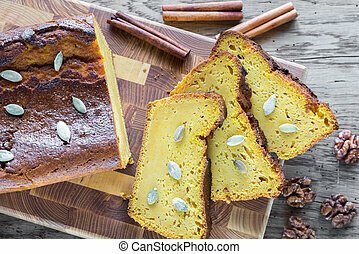 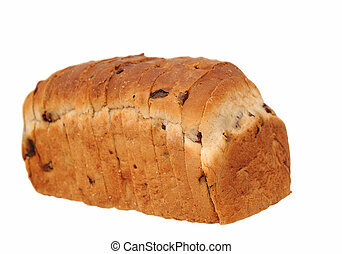 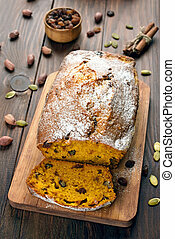 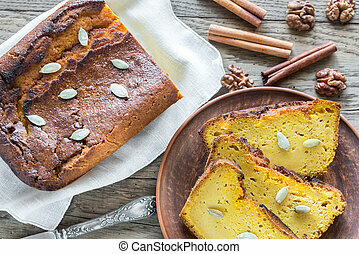 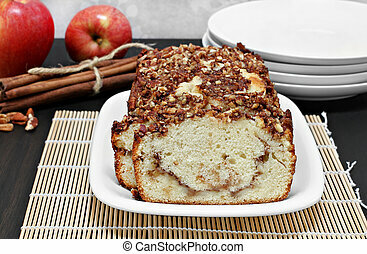 Cinnamon nut loaf. 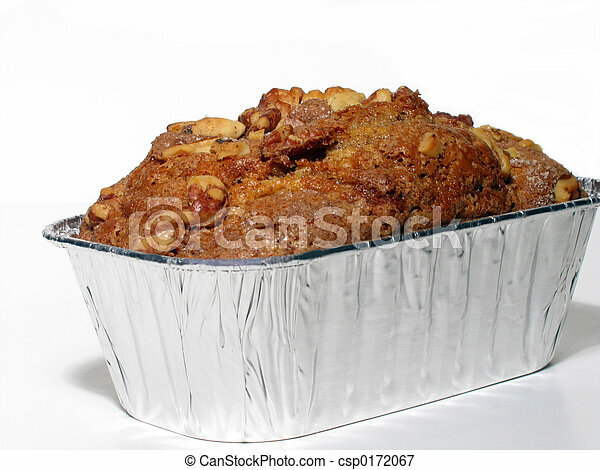 Cinnamon nut loaf in aluminum pan. 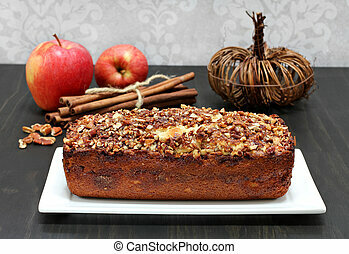 Pecan, cinnamon and apple loaf cake, homemade. 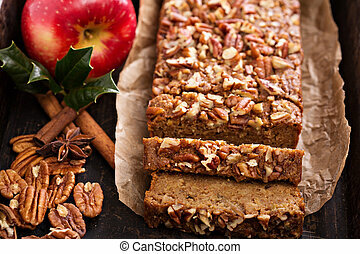 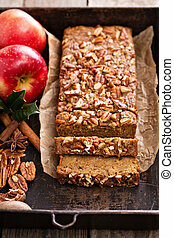 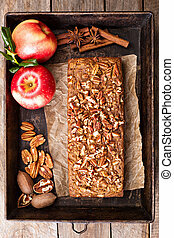 Pecan, apple and cinnamon loaf cake, homemade.